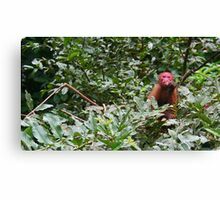 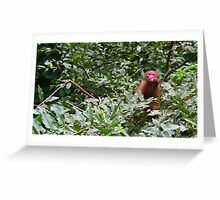 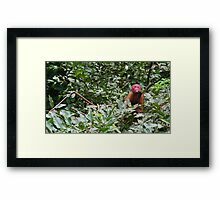 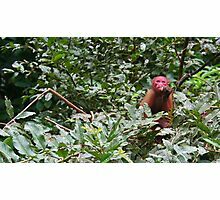 Red-faced Uakari monkey eating leaves in the Jungle of the Amazon Rainforest, Peru. you’ve really captured this moment. 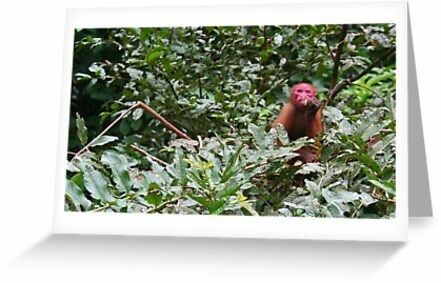 I love the apparent contrast between the red faced monkey next to the green plant life. 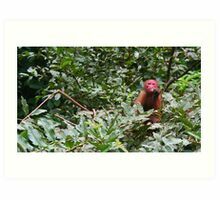 great shot here!